Happy Humpday! 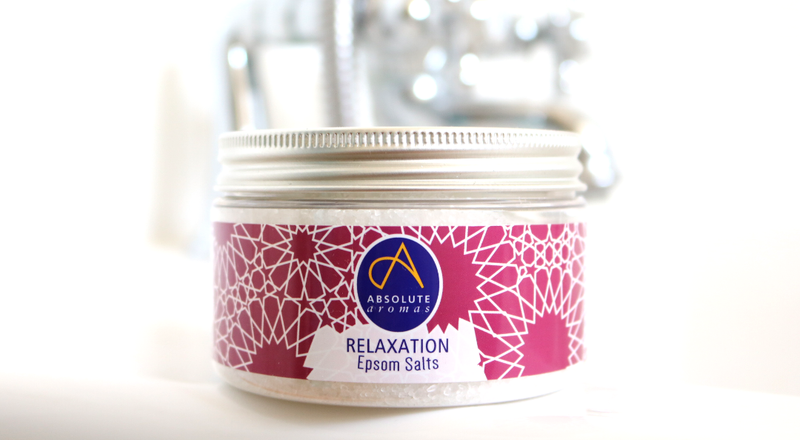 If this week hasn't been treating you too kindly and you're in need of a budget-friendly, mid-week pamper, these Epsom Bath Salts from Absolute Aromas will have you de-stressed and relaxed in no time at all. I'm a firm advocate of self-care and the many benefits that taking some time out for yourself has on your overall mental health. You don't need to spend hours in the bath with a million candles and glasses of wine either (although they can certainly help!) - a quick 20-minute soak in the tub can definitely help you to unwind and leave all the stresses of the day back at the office, instead of in your home. I always find that I can mentally re-focus and enjoy my hobbies more after a bath too, so it's worth making the time for a little pamper whenever you can. I've written about my love of Epsom Salts many times on here before, and they are the key ingredient in several of my all-time favourite bath treats. Epsom Salts are naturally rich in Magnesium which is essential for many of the body's daily functions. Unfortunately, a lot of people have a magnesium deficiency which can lead to problems such as muscle cramps, anxiety, fatigue, insomnia and poor memory, so relaxing in a bath of Epsom Salts can help to boost your magnesium intake as you can absorb it through your skin (this is why a lot of athletes and regular gym goers use Magnesium sprays to help their sore muscles to recover faster). 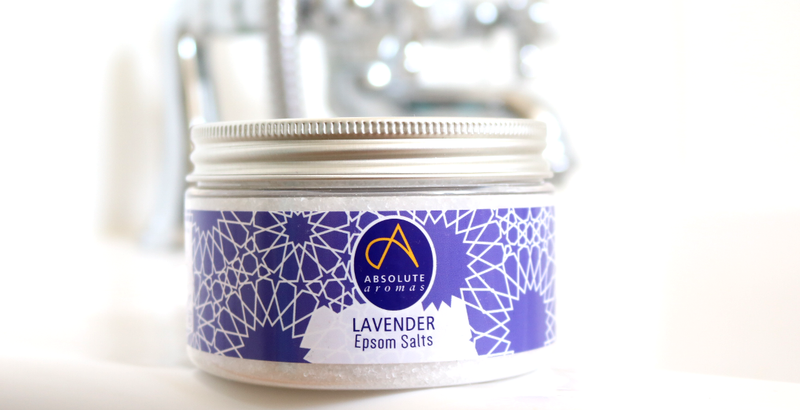 I was recently introduced to Absolute Aromas who are one of the UK's leading aromatherapy brands and have been testing out two of their Epsom Bath Salts from their wide range. All of their products are 100% natural, cruelty-free and free from parabens and sulphates. Anything Lavender scented is my go-to for when I need to help to get to sleep, and these Epsom Salts are infused with pure Lavender Essential Oil. They dissolve easily and you only need two generous handfuls to feel the full benefits. I loved the simplistic scent of these and they definitely helped me to get a good night's sleep after I used them. I've also tried these as a foot soak after a busy day, and they made my feet really lovely and soft afterwards, so that's another way that you can use them. 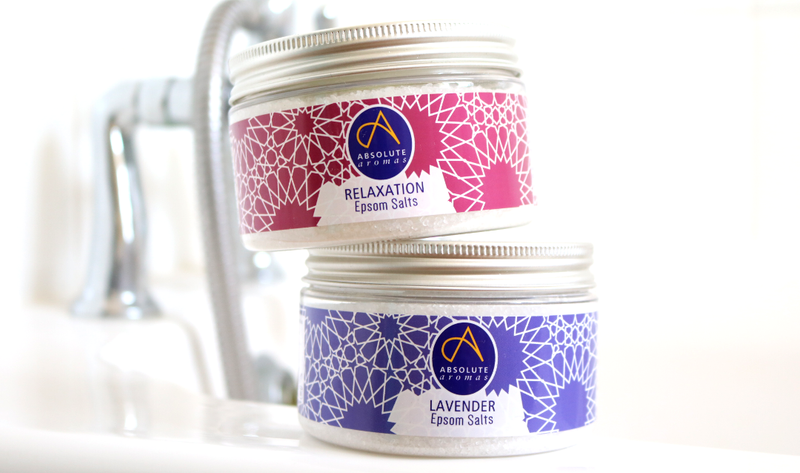 If you're not keen on Lavender, but still want a relaxing natural fragrance to help you unwind, the Relaxation Epsom Salts offer a more complex mix of essential oils which have been expertly blended to give you a blissful pampering experience. Although it still contains Lavender, the mix of the other essential oils means that it's not the dominant scent. Instead, this blend of infused Epsom Salts features Tangerine, Bergamot, Lavender, Petitgrain, Eucalyptus, Cedar, Clary, Patchouli, Lime, Vetiver, Clove, Chamomile and Ylang Ylang essential oils, and it's a much more potent scent that's wonderfully relaxing and fills the whole bathroom with fragrance. Perfect for those times when you really need to de-stress and take your mind off the world! Are you a fan of aromatherapy and Epsom Salts?